Thank you for visiting the Daily Dimes™ website located at www.DailyDimes.com (the "Site"). The Site is an Internet property of Daily Dimes™, Inc. ("Daily Dimes™," "we" or "us"). By and through the Site, end-users may: (a) register to become Daily Dimes™ Members ("Members" or "Membership") which (depending on the type of Membership obtained) enables end-users to: (i) access a variety of printable, web-based coupons ("Click & Print Coupons") and online coupon codes ("Online Coupon Codes"), as made available on the Site by Daily Dimes™ third party coupon product/service providers ("Third Party Coupon Providers"); (ii) search, select and redeem from a large selection of Pre-clipped Sunday Newspaper Insert Coupons and other free coupon offers ("Clip & Ship Coupons" and together with the Click & Print Coupons, Clip & ship Coupon Clipping Services, and the "Coupons"), as made available by Daily Dimes™ and or its Third Party Coupon Providers; (iii) view content and interact with other Members on the Site's blog, if and when Daily Dimes™ makes such a blog available, in news section and/or in other applicable areas (collectively, "Interactive Services"); and (iv) obtain a free copy of the How to Turn Dimes into Dollars™ eBook ("eBook"); (b) apply for the Daily Dimes™ Prepaid Debit Card ("Daily Dimes™ Prepaid MasterCard®"), as offered by Daily Dimes’™ third party debit card service provider ("Third Party Debit Card Service Provider" and together with the Third Party Coupon Providers, the "Third Party Providers"); (c) earn "DIMES" and/or "Reward Points" by and through various features available on the Site, as well as in connection with the Daily Dimes™ Prepaid MasterCard®, which can be redeemed for merchandise, account credits, etc. ; (d) purchase or otherwise obtain one of the electronic gift cards made available by and through the Site ("Gift Cards"); and/or (e) enter into sweepstakes, contests and/or promotions offered on the Site from time to time ("Promotions"). Unless explicitly stated otherwise, any future offer(s) made available to you on the Site that augment(s) or otherwise enhance(s) the current features of the Daily Dimes™ Offerings shall be subject to the Agreement. You understand and agree that Daily Dimes™ shall not be liable to you or any third party for any modification, suspension or discontinuation of any Daily Dimes™ Offerings, product, service or promotion offered by Daily Dimes™ or any Daily Dimes™ Third Party Providers. You understand and agree that refusal to use the Daily Dimes™ Offerings is your sole right and remedy with respect to any dispute with Daily Dimes™. Trademarks associated with any brand names, products and/or services featured in or associated with the "Coupons" are the intellectual property of their respective owners and display of such brand names, products and/or services on the Site or in any Daily Dimes™ marketing material does not indicate endorsement, sponsorship or affiliation by the trademark owners of/with Daily Dimes™ or any of the Daily Dimes™ Offerings. Scope/Modification of Agreement. The Agreement constitutes the entire and only agreement between you and Daily Dimes™ with respect to your use of the Daily Dimes™ Offerings and supersedes all prior or contemporaneous agreements, representations, warranties and/or understandings between you and Daily Dimes™ with respect to the Daily Dimes™ Offerings. We may amend the Agreement from time to time in our sole discretion, without specific notice to you; provided, however, that: (a) any amendment or modification to the arbitration provisions, prohibition on class action provisions or any other provisions applicable to dispute resolution (collectively, "Dispute Resolution Provisions") shall not apply to any disputes incurred prior to the applicable amendment or modification; and (b) any amendment or modification to pricing and/or billing provisions ("Billing Provisions") shall not apply to any charges incurred prior to the applicable amendment or modification. The latest Agreement will be posted on the Site, and you should review the Agreement prior to using any of the Daily Dimes™ Offerings. By your continued use of any of the Daily Dimes™ Offerings, you hereby agree to comply with, and be bound by, all of the terms and conditions contained within the Agreement effective at that time (other than with respect to disputes arising prior to the amendment or modification of the Dispute Resolution Provisions, or charges incurred prior to the amendment or modification of the Billing Provisions, which shall be governed by the Dispute Resolution Provisions and/or Billing Provisions then in effect at the time of the subject dispute or incurred charges, as applicable). Therefore, you should regularly check the Site for updates and/or changes. Requirements. The Daily Dimes™ Offerings are available only to individuals who are residents of the United States, who can enter into legally binding contracts under applicable law and that are at least eighteen (18) years of age (or the applicable age of majority, if greater than eighteen (18) years of age in your jurisdiction). If you are under eighteen (18) years of age, or the age of majority in your jurisdiction if the age of majority is greater than eighteen (18) years of age, are unable to enter into legally binding contracts under applicable law and/or are not a citizen of the United States, you do not have permission to use and/or access the Daily Dimes™ Offerings. (a) Free Members. Where you register as a "Free" Member, and upon and providing the requisite Registration Data (as defined below), you will be granted certain Free Membership Benefits as provided herein and as described in Section 8.a below, free of charge and you WILL NOT be required to provide credit card. Free Memberships are limited one per person. (b) Paid Members. Upon registering as either a "Premium" Member, or "Ultra" Member (collectively, "Paid Members") and providing the requisite Registration Data, and depending on the payment method that you selected upon registration, the credit or debit card that you provided during registration or updated at a later date ("Active Credit Card") or your PayPal® (as defined below) account, as applicable (collectively, "Payment Method"), will be charged the applicable "Monthly Membership Fee" depending on the Membership package selected when your Account is activated and on the monthly anniversary of that your Account activation date ("Monthly Billing Cycle") for as long as your Paid Membership remains active, and Monthly Membership Fees will be charged in advance. For example, if you register for a Paid Membership on September 4th of any given year, and your Account was activated on that date, you will be charged your first Monthly Membership Fee upon activation and your Monthly Billing Cycle shall recur on the fourth (4th) day of each calendar month for as long as your Paid Membership remains active; provided, however, that if your Account is activated on the twenty-ninth (29th), thirtieth (30th) or thirty-first (31st) day of any calendar month, your Monthly Billing Cycle shall commence on the first (1st) of the following calendar month, and recur on the first (1st) day of each subsequent calendar month for as long as your Paid Membership remains active. You acknowledge and agree that Daily Dimes™ will not obtain any additional authorization from you for this recurring payment. Every time that you use the Daily Dimes™ Offerings, you re-affirm that Daily Dimes™ is authorized to charge your Payment Method and to have the fees applied to same. Failure to use the Daily Dimes™ Offerings does not constitute a basis for refusing to pay any of the associated Monthly Membership Fees. (i) In addition to the terms set forth in Section 3(b) above, where you select a Premium Membership, your Payment Method will be charged a Monthly Membership Fee of nine dollars and ninety-five cents ($9.95) in advance and on a recurring basis. (ii) In addition to the terms set forth in Section 3(b) above, where you select an Ultra Membership, your Payment Method will be charged a Monthly Membership Fee of nineteen dollars and ninety-five cents ($19.95) in advance and on a recurring basis. (iii) The fees will appear on your Payment Method statement through the identifier "Daily Dimes™ Membership Fee." You shall be responsible for paying any and all applicable sales tax (if any) due to all taxing authorities arising from, or in connection with, your use of the Daily Dimes™ Offerings. All fees are payable in United States currency. (iv) You agree to be bound by the pricing and billing practices of Daily Dimes™ in effect at any given time. Upon prior written notice to you (with e-mail sufficing), Daily Dimes™ reserves the right to change its pricing and/or billing practices whenever necessary, in its sole discretion. Continued use of the Daily Dimes™ Offerings after receipt of such notice shall constitute consent to any and all such changes. If you do not agree with these changes, or for any other reason, you may cancel your Membership at any time as set forth below. Where you fail to make any scheduled payment for accrued fees, such overdue amounts will be subject to interest charges in the amount of the lesser of one percent (1%) per month, or the maximum rate permitted by law. Your Account (as defined below) may be downgraded, deactivated, and access to the Daily Dimes™ Offerings restricted and/or denied, for non-payment. (v) Daily Dimes™ authorization to provide and bill for access to its Daily Dimes™ Offerings is obtained by way of your electronic signature or, where applicable, via physical signature and/or voice affirmation. Once an electronic signature is submitted, this electronic order constitutes an electronic letter of agency. Daily Dimes™ reliance upon your electronic signature was specifically sanctioned and written into law when the Uniform Electronic Transactions Act and the Electronic Signatures in Global and National Transactions Act were enacted in 1999 and 2000, respectively. Both laws specifically preempt all state laws that recognize only paper and handwritten signatures. Cancellation of Membership. Where you wish to cancel your Daily Dimes™ Prepaid MasterCard® account, please refer to the procedure set forth in the Daily Dimes™ Prepaid MasterCard® Cardholder Agreement. You may cancel your Daily Dimes™ Membership (but not Debit Card account) at any time by: (a) calling us toll free at 888-835-6788; or (b) e-mailing us at [email protected]; provided, however, that: (i) you will remain responsible for timely payment of any and all fees that you have already incurred (including any applicable late fees); (ii) you shall not receive any pro-rata refund for partial Monthly Billing Cycles; and (iii) we will not refund any amounts previously paid up to the date of cancellation or termination. Please have your Registration Data available for efficient processing of your cancellation order. You understand and agree that cancellation of your Membership is your sole right and remedy with respect to any dispute with Daily Dimes™. Rescission Period. You may cancel your Premium or Ultra Membership within seventy-two (72) hours from the date displayed in the confirmation e-mail that you receive after registering to become a Premium or Ultra Member, as applicable ("Rescission Period"), by: (a) calling us toll free at 888-835-6788; or (b) e-mailing us at [email protected]. If you cancel during the Rescission Period, and you have not yet requested Clip & Ship Coupons to be delivered to you as applicable, your Premium or Ultra Membership, as applicable, will be cancelled and you will not be charged or, if charged, refunded, the applicable fee attributable to the first Monthly Billing Cycle of Premium or Ultra Membership, as applicable. If you do not cancel during the Rescission Period, or if you have already requested Clip & Ship Coupons to be delivered to you, as applicable, we will bill you pursuant to the terms set forth in Section 3 above, until such time that you cancel, or we terminate, your Premium or Ultra Membership, as applicable. After the Rescission Period has expired, you may cancel your Premium or Ultra Membership at any time pursuant to the terms set forth in Section 4 above. Registration. In order to register as a Member and/or enter a Promotion, you must first fully complete the applicable registration form located at the Site ("Application"). In order to register for the Daily Dimes™ Prepaid MasterCard®, you must fully complete the application as set forth on the applicable Daily Dimes™ Prepaid MasterCard® website, or as otherwise made available to you. Depending on which Daily Dimes™ Offering you are attempting to access, and which type of Membership you are requesting, the information that you must supply on the Application may include some or all of the following: (a) full name; (b) full mailing address; (c) telephone number; (d) e-mail address; (e) date of birth; (f) gender; (g) your credit card information, debit card information or PayPal® information (where you are registering for a Premium or Ultra Membership only, and depending on your preferred Payment Method); and (h) any other information requested on the Application (collectively, "Registration Data"). By registering, you agree to receive email, phone calls, and text messages from Daily Dimes™ and its marketing partners. If Daily Dimes™ approves your Application, Daily Dimes™ will set up your Membership account ("Account") and may send a confirmation e-mail to the e-mail address that you provided at the time of registration within the next two (2) to three (3) business days. Where applicable, the confirmation e-mail will contain the following information: (i) your user name; (ii) your password (if applicable); (iii) instructions associated with your Account and the Daily Dimes™ Offerings; (iv) customer service contact information; and (v) the costs, if any, associated with the Membership package that you registered for. If applicable, you can access your Account at the Site using your user name and password, and then change your password and user name at your discretion. You are responsible for maintaining the confidentiality of your Account, user name and password and for restricting access to your computer. You agree to accept responsibility for all activities that occur through use of your Account, user name and password including, without limitation, any and all charges incurred through use of same. For purposes of the Agreement, "PayPal" shall mean PayPal, Inc. Please be advised that Daily Dimes™ is not in any way affiliated with PayPal, and the Daily Dimes™ Offerings are neither endorsed, nor sponsored, by PayPal. PayPal® is a registered trademark of PayPal, Inc.
Rejection/Termination. Daily Dimes™ may reject your Application and/or terminate your Membership and Account at any time and for any reason, in our sole discretion. Such reasons may include, without limitation, where Daily Dimes™ believes, in its sole and absolute discretion that you are in any way in breach of the Agreement. Membership Packages/Coupon Redemption Procedure. For purposes of the Agreement, and in connection with allowing Members the ability to access and redeem Clip & Ship Coupons from the Daily Dimes™ website, "Redemption Week" shall be defined as each seven (7) day period, commencing on the day on which a Premium or Ultra Member's Account, as applicable, is activated and continuing weekly until such Premium or Ultra Member's Account is terminated. By way of example, if a Premium or Ultra Member's Account is activated on a Tuesday, that Premium or Ultra Member's Redemption Week, as applicable, will run from Tuesday through Monday, and shall continue as such until such Premium or Ultra Member's Account is terminated. Alternatively, if a Premium or Ultra Member's Account is activated on a Thursday, that Premium or Ultra Member's Redemption Week, as applicable, will run from Thursday through Wednesday, and shall continue as such until such Premium or Ultra Member's Account is terminated. (A) Free Member Package. Upon registration as a Free Member, if Daily Dimes™ approves your Application, you will be: (i) either granted access to the Website so that you can download the eBook and/or and /or Daily Dimes™ Rx Discount Card, or sent a link to download the eBook and/or and /or Daily Dimes™ Rx Discount Card to the email address that you provided at the time of registration, in Daily Dimes™ sole discretion; (ii) granted access to a searchable online selection of Click & Print Coupons and/or Online Coupon Codes, available as per the terms established by the applicable Third Party Coupon Providers; (iii) granted a certain number of DIMES from time-to-time, as determined by Daily Dimes™ in its sole discretion that you can: (A) redeem for Clip & Ship Handling Fess and subsequently for Clip & Ship Coupons; (B) redeem for entries into the Promotions; and/or (C) allow Daily Dimes™ to redeem for Clip & Ship Handling Fess and subsequently for Clip & Ship Coupons to be donated to certain charities designated by Daily Dimes™, based on the redemption methodology and rates established by Daily Dimes™ from time-to-time; and (iv) granted two hundred and fifty (250) Reward Points that you can: (A) redeem for DIMES; (B) redeem for Cash Back on your Daily Dimes™ Prepaid MasterCard®; and/or (C) allow Daily Dimes™ to redeem DIMES for Clip & Ship Handling Fees and subsequently for Clip & Ship Coupons to be donated to certain charities designated by Daily Dimes™, based on the redemption methodology and rates established by Daily Dimes™ from time-to-time. Limit ONE Free Membership per person. (B) Premium Member Package. Upon registration as a Premium Member, if Daily Dimes™ approves your Application, your Payment Method will be charged nine dollars and ninety-five cents ($9.95) on a recurring basis on the monthly anniversary of your applicable Monthly Billing Cycle, and you will be: (i) either granted access to the Website so that you can download the eBook and /or Daily Dimes™ Rx Discount Card, or sent a link to download the eBook and /or Daily Dimes™ Rx Discount Card, in Daily Dimes™ sole discretion, to the email address that you provided at the time of registration; (ii) granted access to a searchable online selection of Click & Print Coupons and Online Coupon Codes, available as per the terms established by the applicable Third Party Coupon Providers; (iii) granted one thousand (1,000) Reward Points that you can: (A) redeem for DIMES; (B) redeem for Cash Back on your Daily Dimes™ Prepaid MasterCard®; and/or (C) allow Daily Dimes™ to redeem for Clip & Ship Handling Fees and subsequently for Clip & Ship Coupons to be donated to certain charities designated by Daily Dimes™, based on the redemption methodology and rates established by Daily Dimes™ from time-to-time; and (iv) granted twenty-five DIMES each week that you can: (A) redeem for Handling Fees and subsequently for Clip & Ship Coupons (as further detailed below); (B) redeem for entries into the Promotions; and/or (C) allow Daily Dimes™ to redeem for Clip & Ship Handling Fees and subsequently for Clip & Ship Coupons to be donated to certain charities designated by Daily Dimes™, based on the redemption methodology and rates established by Daily Dimes™ from time-to-time. In connection with your Premium Membership, you will have access to a searchable database of Clip & Ship Coupons. In connection with your weekly allotment of twenty-five (25) DIMES, one (1) or more times per Redemption Week, you will be able to redeem your DIMES to offset Handling Fees for Clip & Ship Coupons with up to a maximum value of $2.50 (or more where Daily Dimes™ permits in connection with some specially prized Clip & Ship Coupons), for delivery via first class mail, for as long as your Premium Member Account remains Active. In addition, Admin Fees will be waived for the first redemption made each Redemption Week involving one or more DIMES even if the entire redemption is not completely covered by the DIMES redeemed. Daily Dimes™ may refuse, in its sole and absolute discretion, to process any redemption request with less than Five (5) DIMES. - DIMES are allotted by Redemption Week and do not roll over to subsequent Redemption Weeks if a Premium Member fails to redeem the full Redemption Week allotment of DIMES for Clip & Ship Coupons or other permitted redemptions. For Premium Members, each subsequent Redemption Week begins anew with twenty-five (25) DIMES per Redemption Week. Thus, even if a Premium Member redeems less than twenty-five DIMES in a given Redemption Week (and that Premium Member does not otherwise redeem his/her DIMES as permitted hereunder), the subsequent Redemption Week begins anew with the equivalent of twenty-five (25) DIMES. (C) Ultra Member Package. Upon registration as a Ultra Member, if Daily Dimes™ approves your Application, your Payment Method will be charged nineteen dollars and ninety-five cents ($19.95) on a recurring basis on the monthly anniversary of your applicable Monthly Billing Cycle, and you will be: (i) either granted access to the Website so that you can download the e-Book and /or Daily Dimes™ Rx Discount Card, or sent a link to download the eBook and /or Daily Dimes™ Rx Discount Card to the email address that you provided at the time of registration, in Daily Dimes™ sole discretion; (ii) granted access to a searchable online selection of Click & Print Coupons and/or Online Coupon Codes, available as per the terms established by the applicable Third Party Coupon Providers; (iii) granted two thousand (2,000) Reward Points that you can: (A) redeem for DIMES; (B) redeem for Cash Back on your Daily Dimes™ Prepaid MasterCard®; and/or (C) allow Daily Dimes™ to redeem for Clip & Ship Handling Fees and subsequently for Clip & Ship \Coupons to be donated to certain charities designated by Daily Dimes™, based on the redemption methodology and rates established by Daily Dimes™ from time-to-time; and (iv) granted a certain number of DIMES each week that you can: (A) redeem for Clip & Ship Handling Fees and subsequently for Clip & Ship Coupons (as further detailed below); (B) redeem for entries into the Promotions; and/or (C) allow Daily Dimes™ to redeem for Clip & Ship Handling Fees and subsequently for Clip & Ship Coupons to be donated to certain charities designated by Daily Dimes™, based on the redemption methodology and rates established by Daily Dimes™ from time-to-time. In connection with your Ultra Membership, you will have access to a searchable database of Pre-Clipped Sunday Insert Coupons. In connection with your weekly allotment of fifty (50) DIMES, two (2) or more times per Redemption Week, you will be able to redeem your DIMES to offset Handling Fees for Clip & Ship Coupons with up to a maximum value of $5.00 (or more where Daily Dimes™ permits in connection with some specially prized Clip & Ship Coupons), for delivery via first class mail, for as long as your Ultra Member Account remains active. In addition, Admin Fees will also be waived for the first 2 (two) redemptions made each Redemption Week involving the redemption of one or more DIMES even if the entire redemption is not completely covered by the DIMES redeemed. Daily Dimes™ may refuse, in its sole and absolute discretion, to process any redemption request with less than five (5) DIMES. - DIMES are allotted by Redemption Week and do not roll over to subsequent Redemption Weeks if a Ultra Member fails to redeem the full Redemption Week allotment of DIMES for Clip & Ship Coupons or other permitted redemptions. For Ultra Members, each subsequent Redemption Week begins anew with the equivalent of fifty (50) DIMES per Redemption Week. Thus, even if a Ultra Member redeems less than fifty DIMES in a given Redemption Week (and that Ultra Member does not otherwise redeem his/her DIMES as permitted hereunder), the subsequent Redemption Week begins anew with the equivalent of Fifty (50) DIMES. (D) Delivery Information. Our goal is to pick and ship all Clip & Ship Coupon redemptions to the mailing address provided by you on the Site on the same business day. Requests received after noon EST, and on Sunday or holidays, will be shipped the next business day. You should receive your redemption within five (5) to seven (7) business days from the date you processed your redemption request. Expedited shipping is available for an additional fee. Costs are determined by the delivery method. First Class Mail; five (5) to seven (7) business days from the date you processed your order. Priority Mail; one (1) to three (3) business days from the date you processed your order. - Daily Dimes™ is not obligated to process any redemption. Coupons redeemed from Daily Dimes™ are for the exclusive benefit of Members and ARE NOT FOR RESALE. Resale of Coupons is a material breach of the Agreement and will result in the immediate termination of your Membership and Account. - There is a limit of ONE Free Membership per person. Any attempt to establish more than one Free Membership for the purposes of processing multiple redemptions of Clip & Ship Coupons to the same household or address is a material breach of the Agreement and will result in the immediate termination of your Membership and Account. - The amount that is discounted by a particular Clip & Ship Coupon is used to determine the face value of that Clip & Ship Coupon (for example, a Clip & Ship Coupon that gives you "$1 Off" a given product has a face value of one dollar ($1.00) for purposes of determining redemption value in connection with a predetermined percentage and applicable Redemption Week limits). - If a Premium or Ultra Member does not redeem any Clip & Ship Coupons in a given Redemption Week (and that Member does not otherwise redeem his/her DIMES as permitted hereunder), the DIMES available to such Member for the respective Redemption Week will nonetheless expire. - Expired Clip & Ship Coupons are typically honored for up to 6 months after expiration on military bases worldwide. Daily Dimes™ will use your expired DIME$ to subsidize the distribution of then available Clip & Ship Coupons to military bases in Support of our Troops and their families around the globe based on the redemption methodology and rates established by Daily Dimes™ from time-to-time. Please note that Daily Dimes™ will strive distribute Clip & Ship Coupons with up to a maximum aggregate face value of $50,000 per calendar month. - Daily Dimes™ does not place limits on the amount of Click & Print Coupons that Members can access in any given Redemption Week; provided, however, that supplies may be limited and the applicable Third Party Providers may place other limitations, restrictions, and conditions on the use of Click & Print Coupons. DAILY DIMES™ IS NOT RESPONSIBLE FOR CLIP & SHIP COUPONS THAT ARE EXPIRED, LOST, LATE, ILLEGIBLE, MISDIRECTED, DAMAGED, INCOMPLETE, INCORRECT, OR RETURNED TO SENDER. Description of DIMES and Reward Points. For purposes of the Agreement, and in connection with allowing a Member the ability to access and redeem DIMES and/or Reward Points, the terms applicable to the award and/or redemption of DIMES and/or Reward Points shall be as set forth herein, as set forth on the Site and/or as otherwise communicated by Daily Dimes™, from time-to-time. You may earn DIMES and/or Reward Points for a number of actions as designated by Daily Dimes™, in advance. Paid Members will be issued DIMES every week. Free Members may receive DIMES periodically, as determined by Daily Dimes™ in its sole discretion. Members may receive DIMES and/or Reward Points for winning applicable Promotions. In addition, the actions that will earn you Reward Points may include some or all of the following: (A) registering as a Member (with different amounts awarded depending on the level of Membership obtained); (B) applying for a Daily Dimes™ Prepaid MasterCard® and loading funds on your Daily Dimes™ Prepaid MasterCard®; (C) downloading the eBook; (D) requesting the Daily Dimes™ Rx Discount Card; (E) ordering other products and/or services featured on the Site; (F) redeeming DIMES for Handling Fees and subsequently for Clip & Ship Coupons; (G) redeeming DIMES for entries in the Promotions; (H) printing Click & Print Coupons; (I) entering Promotions; (J) redeeming Reward Points for DIMES; (K) redeeming Reward Points for an eGift Card; (L) redeeming Reward Points for credits on your Daily Dimes™ Prepaid MasterCard® and/or toward future Member fees; (M) answering surveys; (N) donating Reward Points to designated charities; and/or (O) donating DIMES to designated charities. YOU UNDERSTAND AND AGREE THAT DAILY DIMES™ SHALL NOT BE LIABLE TO YOU, ANY END-USERS OR ANY THIRD PARTY FOR ANY CLAIM IN CONNECTION WITH YOUR USE OF, OR INABILITY TO USE, THE DIMES AND/OR REWARD POINTS. Description of Coupons. Daily Dimes™ provides end-users with an opportunity to access a variety of Coupons as offered by Daily Dimes™ Third Party Coupon Providers and/or the applicable underlying manufacturers or retailers (collectively, "Issuers"). Please be advised that Daily Dimes™ does not itself provide Coupons or any products or services featured in the Coupons. The Coupons feature products and services made available and serviced by the applicable Issuer, and contain descriptions that are provided directly by such entities. The Issuers are solely responsible for the ultimate terms and conditions of any Coupons, as well as all fulfillment and customer service in connection with products and services featured in the Coupons. The Coupons have expiration dates, generally ninety (90) days, but dates may vary subject to the applicable Issuer's policies. Please contact the applicable Issuer for any questions, comments or feedback related thereto. Daily Dimes™ undertakes no responsibility to monitor or otherwise police the Coupons or Issuers. As a result, Daily Dimes™ has no control over: (A) the expiration dates of the Coupons; (B) the truth or accuracy of the Coupons; and/or (C) the ability of the applicable Issuers to fulfill the representations made in connection with the Coupons. Do not assume that the offer, sale or purchase of any item is valid and legal simply because it is featured in a Coupon. You accept sole responsibility for the legality of your actions under laws applying to you. Daily Dimes™ does not represent or warrant that the Coupons are accurate or complete, and Daily Dimes™ expressly disclaims any liability related to the Coupons and their use. YOU UNDERSTAND AND AGREE THAT DAILY DIMES™ IS NOT RESPONSIBLE OR LIABLE IN ANY MANNER WHATSOEVER FOR YOUR INABILITY TO USE THE COUPONS, OR FOR ANY CLAIM IN CONNECTION WITH ANY COUPONS, RETAILERS OR ANY PRODUCTS OR SERVICES FEATURED IN THE COUPONS. Description of eGift Cards. Daily Dimes™ provides end-users with an opportunity to purchase, redeem or otherwise obtain a variety of electronic eGift Cards as offered by Daily Dimes™ third party eGift Card providers and/or the applicable underlying manufacturers or retailers (collectively, "eGift Card Issuers"). Please be advised that Daily Dimes™ does not itself provide eGift Cards or any products or services featured in connection with the eGift Cards. The promotional materials associated with the eGift Cards feature products and services made available and serviced by the applicable eGift Card Issuers, and contain descriptions that are provided directly by such entities. The eGift Card Issuers are solely responsible for the ultimate terms and conditions of any eGift Card, as well as all fulfillment and customer service in connection with products and/or services featured in connection with the eGift Card. Subject to the requirements of applicable law, the eGift Cards may have expiration dates, but dates may vary subject to the applicable eGift Card Issuer's policies. Please contact the applicable eGift Card Issuer for any questions, comments, or feedback related thereto. Daily Dimes™ undertakes no responsibility to monitor or otherwise police the eGift Card or eGift Card Issuers. As a result, Daily Dimes™ has no control over: (a) eGift Cards expiration issues; (b) the truth or accuracy of the promotional materials associated with the eGift Cards; and/or (c) the ability of the applicable eGift Card Issuers to fulfill the representations made in connection with the eGift Cards. Do not assume that the offer, sale, or purchase of any item is valid and legal simply because it is featured in connection with an eGift Card. You accept sole responsibility for the legality of your actions under laws applying to you. Daily Dimes™ does not represent or warrant that the eGift Cards are accurate or complete, and Daily Dimes™ expressly disclaims any liability related to the eGift Cards and their use. YOU UNDERSTAND AND AGREE THAT DAILY DIMES™ IS NOT RESPONSIBLE OR LIABLE IN ANY MANNER WHATSOEVER FOR YOUR INABILITY TO USE THE eGIFT CARDS, OR FOR ANY CLAIM IN CONNECTION WITH ANY eGIFT CARDS, eGIFT CARD ISSUERS, RETAILERS OR ANY PRODUCTS OR SERVICES FEATURED IN ASSOCIATION WITH THE eGIFT CARDS. 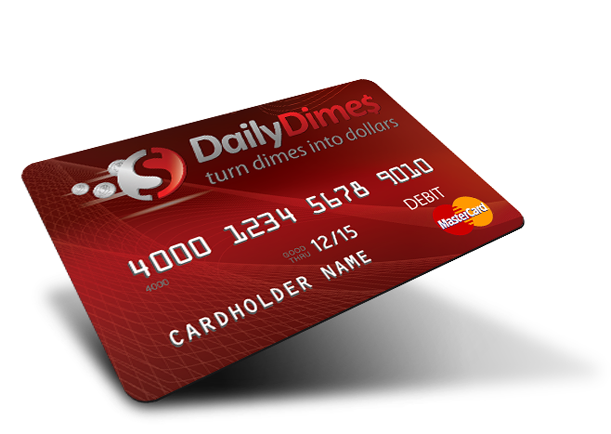 DAILY DIMES™ IS NOT RESPONSIBLE FOR THE UNAUTHORIZED USE OF ANY eGIFT CARD OR REQUIRED TO REPLACE LOST OR STOLEN eGIFT CARDS. USE OF A eGIFT CRD CONSTITUTES ACCEPTANCE OF THESE TERMS AND CONDITIONS, WHICH ARE SUBJECT TO CHANGE WITHOUT NOTICE AND ARE VOID WHERE PROHIBITED BY LAW. PLEASE TREAT ANY eGIFT CARD LIKE CASH AND SAFEGUARD IT ACCORDINGLY. (A) General. Subject to the terms and conditions of the Agreement including, without limitation, those contained in Sections 12(A) and 12(B) below, Members shall have access to the Interactive Services. The Interactive Services allow Members to communicate with other Members via comments sections and other interactive areas of the Site. In connection with the Interactive Services, each Member shall be solely responsible for the comments, opinions, statements, offers, propositions, feedback and other content ("Comments") posted by and through the Interactive Services. Members are forbidden from posting links in any Comments, and/or advertising third party products and/or services within the Interactive Services. Daily Dimes™ reserves the right to prohibit any conduct by Members or remove any Comments from the Interactive Services and/or Site at any time and for any reason, in Daily Dimes™ sole discretion. The reasons for removal may include where Daily Dimes™ believes that the Comments posted by a Member are unsuitable for the Interactive Services and/or Site for any reason including, without limitation: (i) that the Comments violate Sections 12(A) and/or 12(B) below; and/or (ii) where Daily Dimes™ believes the Comments, or the applicable Member, is otherwise in violation of the Agreement. YOU UNDERSTAND AND AGREE THAT DAILY DIMES™ SHALL NOT BE LIABLE TO YOU, ANY END-USERS OR ANY THIRD PARTY FOR ANY CLAIM IN CONNECTION WITH YOUR USE OF, OR INABILITY TO USE, THE INTERACTIVE SERVICES. (B) Member Interactions/Comments. You are solely responsible for your interactions with other Site-users including, but not limited to, Members and Third-Party Providers. Because we are not involved in Site-user interactions, in the event that you have a dispute with one or more Site-users, Members and/or Third-Party Providers, you hereby release Daily Dimes™ including, but not limited to, its officers, directors, members, shareholders, agents, subsidiaries and employees, from any and all claims, demands and damages (actual and consequential) of every kind and nature, known and unknown, suspected and unsuspected, disclosed and undisclosed, arising out of, or in any way connected with, such disputes. Daily Dimes™ reserves the right, but has no obligation, to monitor disputes between you and other Site-users, Members and/or Third-Party Providers. The Interactive Services contain Comments that are provided directly by Members. Those Members are solely responsible for the accuracy, completeness, appropriateness and/or usefulness of such Comments. Daily Dimes™ does not represent or warrant that the Comments posted by and through the Interactive Services and/or Site are accurate, complete or appropriate. You may find certain Comments to be offensive, harmful, inaccurate and/or deceptive. Please use caution, common sense and safety when using the Interactive Services and/or Site. YOU UNDERSTAND AND AGREE THAT DAILY DIMES™ SHALL NOT BE LIABLE TO YOU, ANY END-USERS OR ANY THIRD PARTY FOR ANY CLAIM IN CONNECTION WITH ANY COMMENTS. (C) Member Comments Restrictions. As a Member, you agree that you are solely responsible for the Comments and/or other information that you publish, transmit and/or post by and through the Site and/or Interactive Services. You agree to use the Site and/or Interactive Services in a manner consistent with any and all applicable laws, rules and regulations. In connection with your use of the Site and/or Interactive Services, you agree not to: (i) display any telephone numbers, street addresses, URLs, e-mail addresses or confidential information of any third party; (ii) display any audio files, text, photographs, videos or other images containing confidential information; (iii) display any audio files, text, photographs, videos or other images that may be deemed indecent or obscene in your community, as defined under applicable law; (iv) impersonate any person or entity; (v) "stalk" or otherwise harass any person; (vi) engage in any unauthorized advertising to, or commercial solicitation of, other Members, Site-users or Third Party Providers; (vii) transmit any chain letters, spam or junk e-mail to other Members, Site-users or Third Party Providers; (viii) express or imply that any statements that you make are endorsed by Daily Dimes™, without our specific prior written consent; (ix) harvest or collect personal information of other Members whether or not for commercial purposes, without their express consent; (x) use any robot, spider, site search/retrieval application or other manual or automatic device or process to retrieve, index, "data mine," or in any way reproduce or circumvent the navigational structure or presentation of the Daily Dimes™ Offerings or their contents; (xi) post, distribute or reproduce in any way any copyrighted material, trademarks or other proprietary information without obtaining the prior consent of the owner of such proprietary rights; (xii) remove any copyright, trademark or other proprietary rights notices contained in the Daily Dimes™ Offerings; (xiii) interfere with or disrupt any of the Daily Dimes™ Offerings and/or the servers or networks connected to same; (xiv) post, offer for download, e-mail or otherwise transmit any material that contains software viruses or any other computer code, files or programs designed to interrupt, destroy or limit the functionality of any computer software or hardware or telecommunications equipment; (xv) post, offer for download, transmit, promote or otherwise make available any software, product or service that is illegal or that violates the rights of a third party including, but not limited to, spyware, adware, programs designed to send unsolicited advertisements (i.e. "spamware"), services that send unsolicited advertisements, programs designed to initiate "denial of service" attacks, mail bomb programs and programs designed to gain unauthorized access to networks on the Internet; (xvi) "frame" or "mirror" any part of the Site, without our prior written authorization; (xvii) use metatags, code or other devices containing any reference to Daily Dimes™ and/or the Daily Dimes™ Offerings in order to direct any person to any other website for any purpose; and/or (xviii) modify, adapt, sublicense, translate, sell, reverse engineer, decipher, decompile or otherwise disassemble any portion of the Daily Dimes™ Offerings or any software used on or in connection with same. Engaging in any of the aforementioned prohibited practices shall be deemed a breach of the Agreement and may result in the immediate termination of your Membership and Account without notice, in the sole discretion of Daily Dimes™. Daily Dimes™ reserves the right to pursue any and all legal and/or equitable remedies against Members that engage in the aforementioned prohibited conduct. Promotions. From time-to-time, the Site offers Members and non-Member end-users the opportunity to qualify for promotional prizes and other awards via Promotions. By providing true and accurate information in connection with the applicable Promotion registration form and agreeing to the Official Rules applicable to each such Promotion, you can attempt to obtain the promotional prizes and other awards offered through each Promotion. Currently, the Promotions that the Site is offering include, but are not limited to, the "Daily Dimes™ Greatest Savings Contest," "Guaranteed Instant Winner/Chance to WIN Sweepstakes," and various short-term Promotions ("Mini-Sweeps"). To enter into the Promotions featured on the Site, you must first fully complete the applicable entry form. You do not need to obtain a paid Membership, redeem any Coupons, redeem any Reward Points, redeem any DIMES or purchase any other products or services in order to enter any Promotion. Redeeming Reward Points, redeeming DIMES, and/or purchasing a Membership or any other products or services in no way increases your chances of winning any prizes offered in connection with the Promotions. To access the Official Rules for Guaranteed Instant Winner/Chance to WIN Sweepstakes, please click here. You understand and agree that Daily Dimes™ is not responsible or liable in any manner whatsoever for your inability to qualify for the Promotions. You understand and agree that Daily Dimes™ shall not be liable to you or any third party for any modification, suspension, or discontinuation of any Promotion. License Grant. As a Site-user and/or Member, you are granted a non-exclusive, non-transferable, revocable and limited license to access and use certain portions of the Daily Dimes™ Offerings, third-party Comments and associated content in accordance with the Agreement. Daily Dimes™ may terminate this license at any time for any or no reason. You may use the Daily Dimes™ Offerings on one computer for your own personal, non-commercial use. Other than as expressly authorized, no part of the Daily Dimes™ Offerings and/or third-party Comments may be reproduced in any form or incorporated into any information retrieval system, electronic or mechanical. You may not use, copy, emulate, clone, rent, lease, sell, modify, decompile, disassemble, reverse engineer or transfer the Daily Dimes™ Offerings, third-party Comments content or any portion thereof. Daily Dimes™ reserves any rights not explicitly granted in the Agreement. You may not use any device, software or routine to interfere or attempt to interfere with the proper working of the Daily Dimes™ Offerings. You may not take any action that imposes an unreasonable or disproportionately large load on Daily Dimes™ infrastructure. Your right to use the Daily Dimes™ Offerings and third-party Comments is not transferable. Proprietary Rights. The content, organization, graphics, design, compilation, magnetic translation, digital conversion, software, services and other matters related to the Daily Dimes™ Offerings and/or third-party Comments are protected under applicable copyrights, trademarks and other proprietary (including, but not limited to, intellectual property) rights. The copying, redistribution, publication or sale by you of any part of the Daily Dimes™ Offerings and/or third-party Comments is strictly prohibited. You do not acquire ownership rights in or to the Daily Dimes™ Offerings, third-party Comments or any content, document, software, services or other materials viewed at or through the Site or otherwise by and through the Daily Dimes™ Offerings. The posting of information or material on the Site or otherwise by and through the Daily Dimes™ Offerings by Daily Dimes™ does not constitute a waiver of any right in or to such information and/or materials. Editing, Deleting and Modification. We reserve the right in our sole discretion to edit and/or delete any documents, information or other content appearing on the Site or otherwise by and through the Daily Dimes™ Offerings. Indemnification. You agree to indemnify and hold Daily Dimes™, its parents, subsidiaries and affiliates, and each of their respective members, officers, directors, employees, agents, co-branders and/or other partners, harmless from and against any and all claims, expenses (including reasonable attorneys' fees), damages, suits, costs, demands and/or judgments whatsoever, made by any third party due to or arising out of: (A) your use of the Daily Dimes™ Offerings; (B) your breach of the Agreement; (C) any dispute between you and any Member, Site-user or Third Party Provider; and/or (D) your violation of any rights of another individual and/or entity. The provisions of this Section 17 are for the benefit of Daily Dimes™, its parents, subsidiaries and/or affiliates, and each of their respective members, officers, directors, employees, agents, shareholders, licensors, suppliers and/or attorneys. Each of these individuals and entities shall have the right to assert and enforce these provisions directly against you on its own behalf. Disclaimer of Warranties. THE DAILY DIMES™ OFFERINGS, ANY PRODUCTS AND/OR SERVICES THAT YOU MAY RECEIVE FROM ONE OF OUR THIRD PARTY PROVIDERS, AND/OR ANY OTHER PRODUCTS AND/OR SERVICES THAT YOU MAY APPLY FOR THROUGH THE SITE ARE PROVIDED TO YOU ON AN "AS IS" AND "AS AVAILABLE" BASIS AND ALL WARRANTIES, EXPRESS AND IMPLIED, ARE DISCLAIMED TO THE FULLEST EXTENT PERMISSIBLE PURSUANT TO APPLICABLE LAW (INCLUDING, BUT NOT LIMITED TO, THE DISCLAIMER OF ANY WARRANTIES OF MERCHANTABILITY, NON-INFRINGEMENT OF INTELLECTUAL PROPERTY AND/OR FITNESS FOR A PARTICULAR PURPOSE). IN PARTICULAR, BUT NOT AS A LIMITATION THEREOF, DAILY DIMES™ MAKES NO WARRANTY THAT: (A) THE DAILY DIMES™ OFFERINGS, ANY PRODUCTS AND/OR SERVICES THAT YOU MAY RECEIVE FROM ONE OF OUR THIRD PARTY PROVIDERS, AND/OR ANY OTHER PRODUCTS AND/OR SERVICES THAT YOU MAY APPLY FOR THROUGH THE SITE WILL MEET YOUR REQUIREMENTS; (B) THE DAILY DIMES™ OFFERINGS, ANY PRODUCTS AND/OR SERVICES THAT YOU MAY RECEIVE FROM ONE OF OUR THIRD PARTY PROVIDERS, AND/OR ANY OTHER PRODUCTS AND/OR SERVICES THAT YOU MAY APPLY FOR THROUGH THE SITE WILL BE UNINTERRUPTED, TIMELY, SECURE OR ERROR-FREE; (C) YOU WILL QUALIFY FOR COUPONS FROM ANY OF OUR THIRD PARTY PROVIDERS; (D) THE COUPONS WILL BE HONORED BY THE APPLICABLE RETAILER; (E) THE eGIFT CARDS WILL BE HONORED BY THE APPLICABLE eGIFT CARD ISSUER; OR (F) THE RESULTS THAT MAY BE OBTAINED FROM THE USE OF THE DAILY DIMES™ OFFERINGS, ANY PRODUCTS AND/OR SERVICES THAT YOU MAY RECEIVE FROM ONE OF OUR THIRD PARTY PROVIDERS, AND/OR ANY OTHER PRODUCTS AND/OR SERVICES THAT YOU MAY APPLY FOR THROUGH THE SITE WILL BE ACCURATE OR RELIABLE. THE DAILY DIMES™ OFFERINGS, ANY PRODUCTS AND/OR SERVICES THAT YOU MAY RECEIVE FROM ONE OF OUR THIRD PARTY PROVIDERS, AND/OR ANY OTHER PRODUCTS AND/OR SERVICES THAT YOU MAY APPLY FOR THROUGH THE SITE MAY CONTAIN BUGS, ERRORS, PROBLEMS OR OTHER LIMITATIONS. WE WILL NOT BE LIABLE FOR THE AVAILABILITY OF THE UNDERLYING INTERNET CONNECTION ASSOCIATED WITH THE DAILY DIMES™ OFFERINGS. NO ADVICE OR INFORMATION, WHETHER ORAL OR WRITTEN, OBTAINED BY YOU FROM DAILY DIMES™, ANY OF ITS THIRD PARTY PROVIDERS OR OTHERWISE THROUGH OR FROM THE SITE OR OTHER DAILY DIMES™ OFFERINGS, SHALL CREATE ANY WARRANTY NOT EXPRESSLY STATED IN THE AGREEMENT. Limitation of Liability. YOU EXPRESSLY UNDERSTAND AND AGREE THAT DAILY DIMES™ SHALL NOT BE LIABLE TO YOU OR ANY THIRD PARTY FOR ANY DIRECT, INDIRECT, INCIDENTAL, SPECIAL, CONSEQUENTIAL AND/OR EXEMPLARY DAMAGES INCLUDING, BUT NOT LIMITED TO, DAMAGES FOR LOSS OF PROFITS, GOODWILL, USE, DATA OR OTHER INTANGIBLE LOSSES (EVEN IF DAILY DIMES™ HAS BEEN ADVISED OF THE POSSIBILITY OF SUCH DAMAGES), TO THE FULLEST EXTENT PERMISSIBLE BY LAW FOR: (A) THE USE OR THE INABILITY TO USE THE DAILY DIMES™ OFFERINGS, ANY PRODUCTS AND/OR SERVICES THAT YOU MAY RECEIVE FROM ONE OF OUR THIRD PARTY PROVIDERS, AND/OR ANY OTHER PRODUCTS AND/OR SERVICES THAT YOU MAY APPLY FOR THROUGH THE SITE; (B) THE COST OF PROCUREMENT OF SUBSTITUTE GOODS AND/OR SERVICES RESULTING FROM ANY GOODS, DATA, INFORMATION AND/OR SERVICES PURCHASED OR OBTAINED FROM, OR TRANSACTIONS ENTERED INTO THROUGH, THE SITE; (C) THE FAILURE TO QUALIFY FOR COUPONS FROM ANY OF OUR THIRD PARTY PROVIDERS, OR ANY SUBSEQUENT DENIAL OF PRODUCTS AND/OR SERVICES FROM SAME; (D) THE UNAUTHORIZED ACCESS TO, OR ALTERATION OF, YOUR REGISTRATION DATA; (E) WHETHER THE COUPONS ARE HONORED BY THE APPLICABLE RETAILER; (F) WHETHER THE eGIFT CARDS ARE HONORED BY THE APPLICABLE eGIFT CARD ISSUER; AND (G) ANY OTHER MATTER RELATING TO THE INABILITY TO USE THE DAILY DIMES™ OFFERINGS, ANY PRODUCTS AND/OR SERVICES THAT YOU MAY RECEIVE FROM ONE OF OUR THIRD PARTY PROVIDERS, AND/OR ANY OTHER PRODUCTS AND/OR SERVICES THAT YOU MAY APPLY FOR THROUGH THE SITE. THIS LIMITATION APPLIES TO ALL CAUSES OF ACTION, IN THE AGGREGATE INCLUDING, BUT NOT LIMITED TO, BREACH OF CONTRACT, BREACH OF WARRANTY, NEGLIGENCE, STRICT LIABILITY, MISREPRESENTATIONS AND ANY AND ALL OTHER CAUSES OF ACTION. YOU HEREBY RELEASE DAILY DIMES™ AND ALL OF DAILY DIMES’™ THIRD PARTY PROVIDERS FROM ANY AND ALL OBLIGATIONS, LIABILITIES AND CLAIMS IN EXCESS OF THE LIMITATION STATED HEREIN. IF APPLICABLE LAW DOES NOT PERMIT SUCH LIMITATION, THE MAXIMUM LIABILITY OF DAILY DIMES™ TO YOU UNDER ANY AND ALL CIRCUMSTANCES WILL BE FIVE HUNDRED DOLLARS ($500.00). THE NEGATION OF DAMAGES SET FORTH ABOVE IS A FUNDAMENTAL ELEMENT OF THE BASIS OF THE BARGAIN BETWEEN YOU AND DAILY DIMES™. THE ABILITY TO USE THE DAILY DIMES™ OFFERINGS, ANY PRODUCTS AND/OR SERVICES THAT YOU MAY RECEIVE FROM ONE OF OUR THIRD PARTY PROVIDERS, AND/OR ANY OTHER PRODUCTS AND/OR SERVICES THAT YOU MAY APPLY FOR THROUGH THE SITE WOULD NOT BE PROVIDED TO YOU WITHOUT SUCH LIMITATIONS. Third Party Websites. The Site and/or Daily Dimes™ Offerings may provide links to and/or refer you to other Internet websites and/or resources including, but not limited to, those owned and operated by Third Party Providers. Because Daily Dimes™ has no control over such third party websites and/or resources, you hereby acknowledge and agree that Daily Dimes™ is not responsible for the availability of such third party websites and/or resources. Furthermore, Daily Dimes™ does not endorse, and is not responsible or liable for, any terms and conditions, privacy policies, content, advertising, services, products and/or other materials at or available from such third party websites or resources, or for any damages and/or losses arising therefrom. Legal Warning. Any attempt by any individual, whether or not a Daily Dimes™ Member, to damage, destroy, tamper with, vandalize and/or otherwise interfere with the operation of any of the Daily Dimes™ Offerings is a violation of criminal and civil law and Daily Dimes™ will diligently pursue any and all remedies in this regard against any offending individual or entity to the fullest extent permissible by law and in equity. Dispute Resolution Provisions. The Agreement shall be treated as though it were executed and performed in New York, New York and shall be governed by and construed in accordance with the laws of the State of New York (without regard to conflict of law principles). Should a dispute arise concerning the Daily Dimes™ Offerings, the terms and conditions of the Agreement or the breach of same by any party hereto: (A) the parties agree to submit their dispute for resolution by arbitration before a reputable arbitration organization as mutually agreed upon by the parties in New York, New York, in accordance with the then current Commercial Arbitration rules of the American Arbitration Association; and (B) you agree to first commence a formal dispute proceeding by completing and submitting an Initial Dispute Notice which can be found here. We may choose to provide you with a final written settlement offer after receiving your Initial Dispute Notice ("Final Settlement Offer"). If we provide you with a Final Settlement Offer and you do not accept it, or we cannot otherwise satisfactorily resolve your dispute, you can submit your dispute for resolution by arbitration before a reputable arbitration organization as mutually agreed upon by the parties, in your county of residence, by filing a separate Demand for Arbitration, which is also available on the Site here. For claims of Ten Thousand Dollars ($10,000.00) or less, you can choose whether the arbitration proceeds in person, by telephone or based only on submissions. If the arbitrator awards you relief that is greater than our Final Settlement Offer, then we will pay all filing, administration and arbitrator fees associated with the arbitration and, if you retained an attorney to represent you in connection with the arbitration, we will reimburse any reasonable attorneys' fees that your attorney accrued for investigating, preparing and pursuing the claim in arbitration. Any award rendered shall be final and conclusive to the parties and a judgment thereon may be entered in any court of competent jurisdiction. Nothing contained herein shall be construed to preclude any party from: (i) seeking injunctive relief in order to protect its rights pending an outcome in arbitration; and/or (ii) pursuing the matter in small claims court rather than arbitration. Although we may have a right to an award of attorneys' fees and expenses if we prevail in arbitration, we will not seek such an award from you unless the arbitrator determines that your claim was frivolous. To the extent permitted by law, you agree that you will not bring, join or participate in any class action lawsuit as to any claim, dispute or controversy that you may have against Daily Dimes™ and/or its employees, officers, directors, members, representatives and/or assigns. You agree to the entry of injunctive relief to stop such a lawsuit or to remove you as a participant in the suit. You agree to pay the attorney's fees and court costs that Daily Dimes™ incurs in seeking such relief. This provision preventing you from bringing, joining or participating in class action lawsuits: (A) does not constitute a waiver of any of your rights or remedies to pursue a claim individually and not as a class action in binding arbitration as provided above; and (B) is an independent agreement. You may opt-out of these dispute resolution provisions by providing written notice of your decision within thirty (30) days of the date that you first access the Site. Contact Us. If you have any questions regarding the Agreement, or would like more information from us, please contact us by calling customer service toll-free at: 888-835-6788; e-mail us at: [email protected]; or send us mail to: PO Box 936, Tarpon Springs, FL 34688.